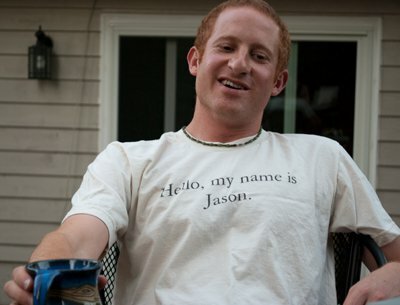 Hello, my name is Jason. Let's chat! I stared at the empty box for a few moments. I wasn't sure what to say, really. Here was a man – a few years older than me – a few years wiser too. A man who, in his own way, is doing exactly what I am doing with tea, only he uses coffee. Jason Simon is the brain behind Caffeinated Conversations – a blog, if you will, that shares the stories of a man in Seattle who wants desperately to believe that the art of conversation still exists. A man who has studied mediation and conflict resolution. A man who not only believes in the power of conversation, but also, the power that a coffee shop has to facilitate it. A man so dedicated to his quest that he wears a shirt bearing his name on the front, and on the back... lies a simple suggestion. Ti va una tazza di te? Silvia handed me the book she had just written this in, ever so carefully above the first sentence on the first page. I was touched that the memory of this book – a story that meant so much to her – came to mind after she had decided to meet with me. Touched even more that she would go out and buy me a copy of my own. The store had but a single English edition of the Italian novel, written by Italian journalist Tiziano Terzani - a chronicling of his adventures throughout South East Asia in 1993, the year that a fortune teller in Hong Kong had marked him for death. A year that, in reality, left him feeling more alive than ever before. The table wobbled beneath us as we spoke. Silvia was shorter than I was, 5'8'' maybe. Auburn hair that fell just below her ears. Her eyes had an orange glow to them when the light hit just right. And when it did, I saw an honest girl with an adventurous spirit searching for meaning in her own life, just as I am searching for meaning in mine. Everything in life has become so easy, that we no longer take pleasure in anything. Tiziano Terzani wrote those words in 1995, and I think the truth in them rings even louder today. In our obsessive quest for speed and convenience, and the subsequent success in integrating those values – we have stripped life of the small details that make it worth living. The journey doesn't seem to matter like it used to. Convenience gives us control. And when we have control, life is no longer about seizing opportunities – it's about manufacturing them. If we slow down though – if we take a moment to think, we realize that this is only true if we wish it to be so. The details remain, as do the opportunities that life conjures up without our influence – whether you pay attention to them or not, is up to you. Silvia took Tiziano's words to heart. I could see this in the way she lived her life – hear it in the stories she had told me. Keeping an ear to the ground, and an ever watchful eye on the world. Paying close attention to each and every opportunity that life has placed at her feet. Taking note of the little details that many of us tend to take for granted. I'll say it once more... La vita e prena di opportunita. Life is full of opportunities. It's full of inspiring people, and intelligent conversation. It's full of details too. Don't forget to pay attention to them. For those very details – they give life a touch of poetry, don't they? After dropping off the face of the earth for a couple weeks, I am back. Truth is - I didn't really drop off the face of the earth. I did, however, take a trip back home to Vancouver. Being that jet lag has decided to pop by and say hello at 4:30am, I figure it's as good a time as any to get you up to speed. The story of Silvia Pezzeti and cup of tea number 23 is still coming your way. I had some reading I decided I want to do before I finish writing about that one - a book that Silvia gave to me, a book that I think is as much a part of the my conversation with her as the words that we spoke to one another. While at home, I happened to bump into Marianela - she and I sat down for cup number 9! Marianela is the girl who collects pictures of stranger's tattoos - a daily challenge to step outside her comfort zone, talking to strangers and digging for their stories, or a photo of a tattoo at least. Since our cuppa, she has expanded what was a short term project, to one that will last a year, leaving her with quite the collection of photos, stories, and new friends too. 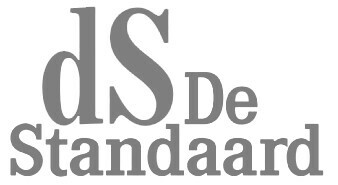 If you are curious - www.astrangeraday.com - take a look! Being that I was so close to Seattle, Washington - I thought I might also drive down to meet Jason Simon to have a conversation that has been brewing for almost a year now. Meeting Jason was almost like meeting a different version of myself. Only, one who lives in the North-Western United States, and has probably talked to a few more strangers than I have in his years. The tale of that little adventure is on its way as well! In the mean time, I did a little interview with a lovely lady named Murphy Bouma - a blogger from Woolongong, Australia. Murphy blogs about her life and the things within it that inspire her. If you care to have a read, the interview jumps a little deeper into who I am, and the things in my life that lead me to sit down for tea with strangers. At very least though, swing by Murphy's blog and have a look around. Thanks Murphy - I am lucky and most humbled by your interest in 100 cups, and will let you know next time I'm in your neck of the woods! Put the kettle on! More on the way! Come back soon! Thumbs up for Rock & Roll! It seems I've made promises I cannot keep! Not today anyway... I had hoped to have my thoughts together to tell you about my cup of tea with Silvia Pezzetti, but truth be told, my thoughts are not quite ready for sharing. I'm also feeling a little under the weather, which isn't helping things at all! But rather than give you nothing on this lovely Friday evening - I offer you this. Next time you're feeling like things aren't going your way - like the world just doesn't want to see you succeed - think of this little guy, and remember how good it feels to 'feel happy of yourself''. Thumbs up everybody, for Rock & Roll.